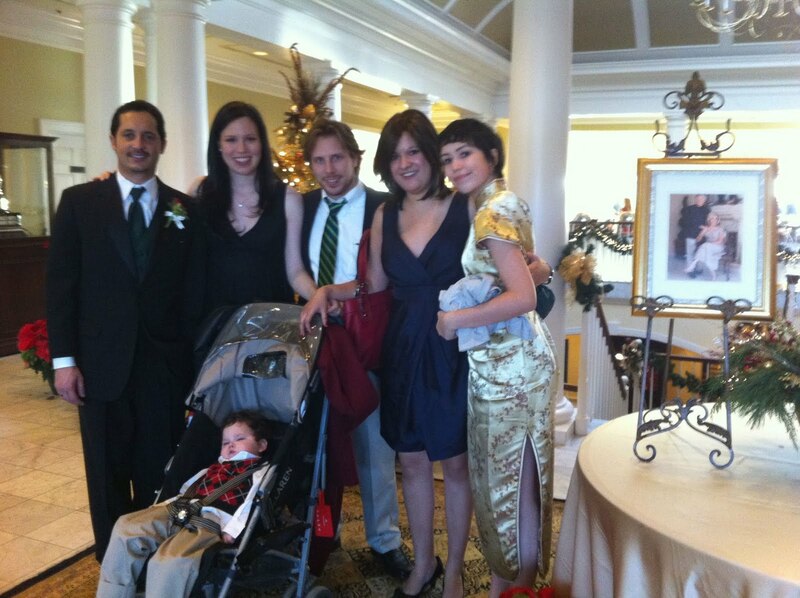 Fern (my cousin), Bertrand, me, Matthew, Belinda and Aury (my sisters). Closing out the year, I feel like our family is staggering across a metaphorical finish line. Any year that starts with your child having brand new seizure types on the very first day is bound to put you through the wringer. How did Bertrand break his arm? Re-reading all the 2010 posts this morning was quite the effort. And honestly, I was too disheartended, exhausted and sick for most of the year to write regularly. Much of the really hard stuff was left out. Hopefully, 2011 will bring positive changes to our family as well as many of our friends. We're wishing you all much love, happiness and peace in the new year!